Would your child know what to do in an emergency? Does your child know what is a real emergency (and what isn’t) and how to call 911? Have you talked about and practiced how to handle a variety of emergency scenarios? Kids as young as three years old can begin learning how and when to call 911 in the event of an emergency. Knowing what to teach kids about 911 is essential to ensure they use it properly and do not call 911 unnecessarily. Always teach your child the number is 9-1-1, not 9-11. You and I know there is not an “eleven” button on the phone, but young children do not and may waste valuable time trying to find the “eleven” button. Teach your child how to dial the phone using a play telephone or an unplugged or non-working phone. Do NOT actually call 911 while teaching your child. Pretend to be the dispatcher and ask what the emergency is and where. Coach your child on how to talk clearly and give the information necessary to help the dispatcher. The right time to call 911: Role-play different scenarios with your child, such as, “What would you do if the house was on fire?” or “What would you do if someone was very badly hurt or unconscious?” Talk about different types of emergencies and how to respond to them. It is also critical to teach kids never to call 911 as a joke or prank, and not to call for non-emergencies, as this can cause emergency responders to waste time that is needed for true emergencies elsewhere. In most cities, calling 911 as a joke is considered a crime and legal action may be taken. If you accidently dial 911, stay on the line and tell the operator that it was an accident. Do not hang up before telling the operator that it was a misdial, otherwise responders may be sent because they will assume there is an emergency. 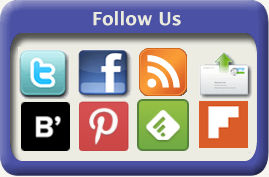 For non-emergency calls to the police or other authorities, post the non-emergency numbers near the phone. Call from a safe location: If the house is on fire, make sure your child understands that they need to go to a pre-determined meeting place or to a neighbor’s house before calling 911. Stay calm: It is easy to panic in an emergency. By practicing and discussing different types of emergencies, your child will be better prepared to stay calm and be able to talk to the dispatcher. 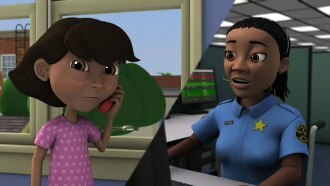 Explain to your child that it is important to stay as calm as possible so they can give information to the 911 dispatcher and follow the dispatcher’s instructions. Give your name, address (or location if the emergency is not at home), and state the nature of the emergency: Kids need to know their name, address, and tell the dispatcher what is wrong so the dispatcher can determine which responders need to be sent. It is also a good idea to have your address posted near the phone, along with 911 and other emergency numbers. Do not hang up until the dispatcher tell you it is okay to hang up: Dispatchers are trained to stay on the line with callers, especially kids, to make sure the emergency responders arrive at the appropriate location and in case any thing changes with the situation that needs to be communicated to the responders. Choosing a C-Section: What Is It and When Is It The Best Option? This is a really helpful post with good info for parents and caregivers. I like the idea of role playing with kids to help them understand what is and is not an emergency. .-= Nanny Expert´s last blog ..How to Choose a Local Nanny Service =-. Great article! I also put a post-it note on the phone with 911 so that if the kids were panicked they could remember the number. A lot of kids use cell-phone theses days, great to remind them to stay on the line and tell the dispatcher where they are. .-= Rebecca Wear Robinson´s last blog ..How can you tell if your child is drowning It’s not what you think… =-. Thanks MomRN for keeping this topic up to date. Always make sure that everyone in the household knows how to use all the cell phones in the home (especially the kids). Sometimes getting to the number pad takes three or more menus to get to – these are precious seconds lost during an emergency. Landline based phones are on their way out , the great thing about them is that they provide the address to 9-1-1 centers from where someone is calling automatically. Voice over IP phones are a bit different because they require that the user provide your physical address in order to set-up the phone upon purchase, so if you make a mistake or make the phone mobile, then there is a risk that the address displayed at the 9-1-1 center may not be the correct one. For additional information your local 9-1-1 public educator may be able to provide you with printed materials and even specialty items at no cost. Check with your local police department or city 9-1-1 services to look for the educator nearest you. weeb site aree actually amazing for people experience, well, keep up the nice woprk fellows.